Hi everyone! I found a great blanket pattern on the internet today. It’s a throw-throw blanket. It’s beautiful and elegant! See the free pattern in our article. 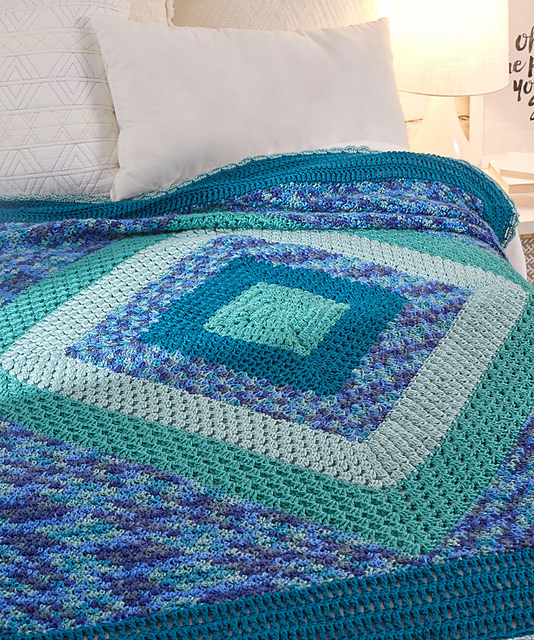 The blanket has a wonderful texture and stitch. Is made in blue. The blanket is very fashionable and decorative. Looks great as a bedspread on a bedroom bed. It is very impressive and it is eye-catching. Blanket made of Red Heart Soft Prints. It is a huge blanket. Its size is 137cm x 137cm. Make a lot of fun with this pattern at home. Good luck! 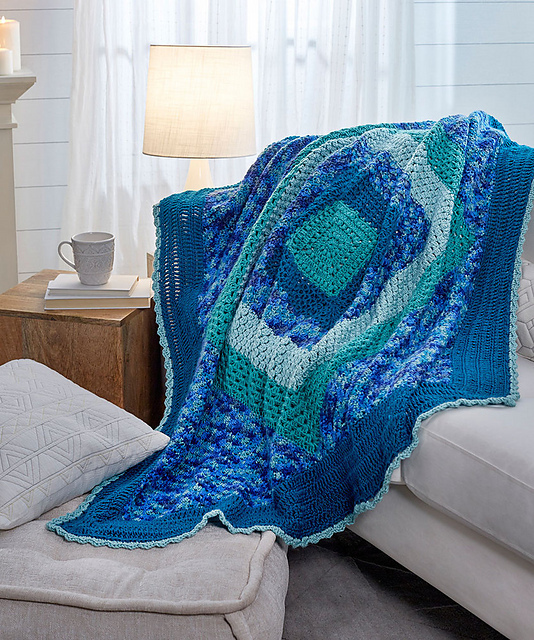 Sea Glass Throw Blanket Free Crochet Pattern is here.